Exploring is a serious business (even if it is just crawling round the back garden). 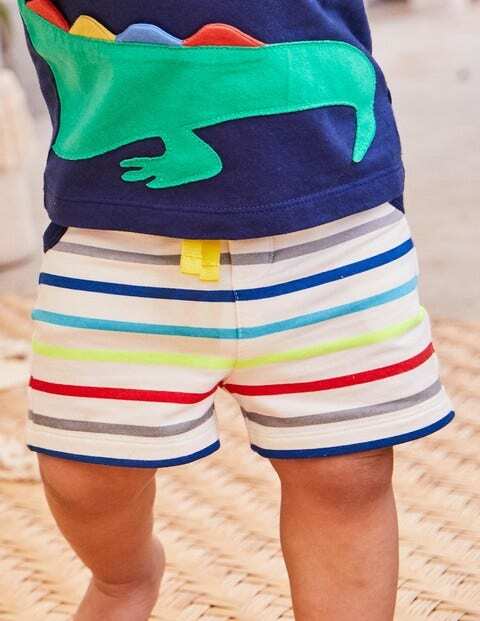 Our fun and comfortable shorts with wraparound appliqués and all-over prints are designed to stay put and move with your little one, thanks to the handy drawcords and soft loopback fabric. Pockets on the front and back are perfect for baby's little treasures.